But not to buy a fat pig… (fabric, more likely!) Do you know that nursery rhyme? We had this “much-older-than-us” hardcover nursery rhyme book as kids, it had to be the size of an encyclopedia volume, and it had all these ancient, sometimes bizarre, nursery rhymes. Many of the old favorites that we all know, but many wacky ones, too. I still have that book tucked away somewhere, I’ll dig it out and share some of those gems with you one day soon. 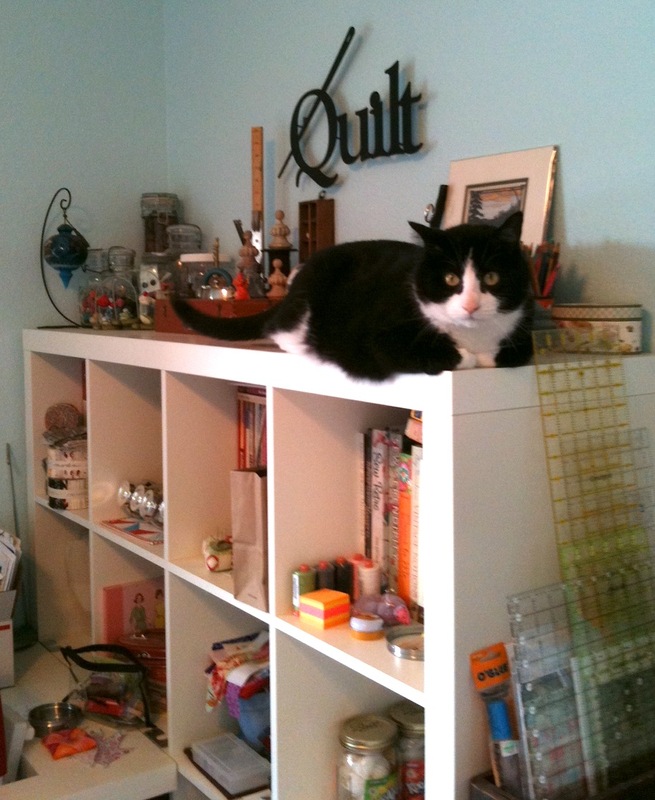 So, yes, too busy to find time to blog, but piecing and designing new patterns is happening almost daily… (I even have two cats supervising my every move!) Headed to Kansas City for International Quilt Market this week– hoping to see some old friends, and meet some new ones. An update on Caleb, from the last post, THANKS to all of you for the prayers and well wishes. He is doing wonderfully, had his follow-up appointment with the surgeon yesterday, with a good report. Still on a liquid diet, and his entire family is joining him on the liquid diet in solidarity (even his 7 year-old brother!). That’s love and some serious empathy! They had pureed spaghetti and meat sauce for dinner one night last week. Thank you, but no, I’ll pass. 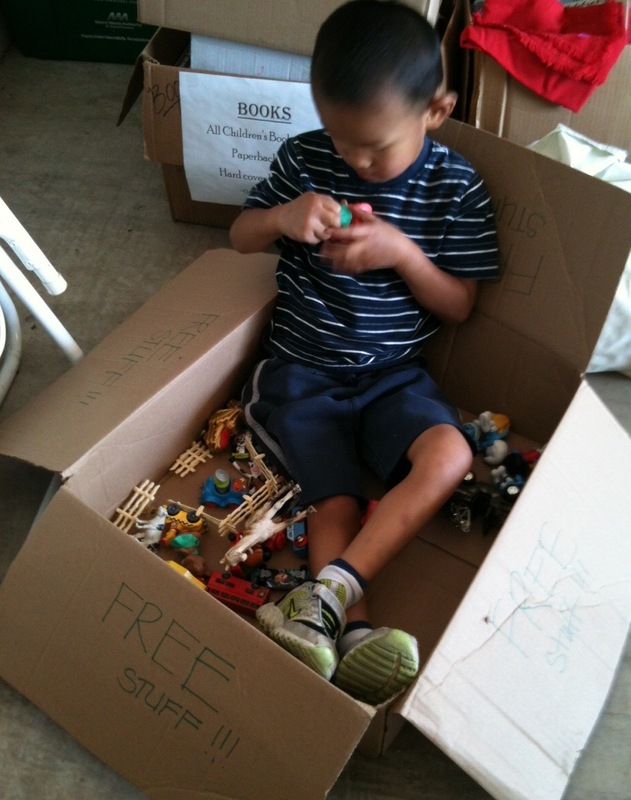 This is a shot of Caleb from Saturday, when we were setting up our garage sale (as you can see, he’s doing pretty well! ): See you on the other side of Market! So glad to hear the good report for Caleb! I think I’ll pass on the pureed spaghetti as well! I’ll look for you at market when I’m there on Friday! I can’t wait to go to my first market! I’m sure it will be so overwhelming. Yeah! Haha! I just wrote a similar post and had the exact same title…..too busy to blog, off to Market! Hope to see you there! Wanna Cindy, Shelly, Amanda Jean, and I are having breakfast Sat morn. Wanna join? possibly, where are you meeting? My friend Trina and I are staying in Overland Park. Probably heading back to Iowa Saturday afternoon.